A chunk of a rare meteorite is landing permanently at University of California, Davis. The university just acquired a piece of the rock, which fell in Northern California last year. Before the meteorite slammed into Earth it had been minding its own business in the solar system for more than 4.5 billion years. 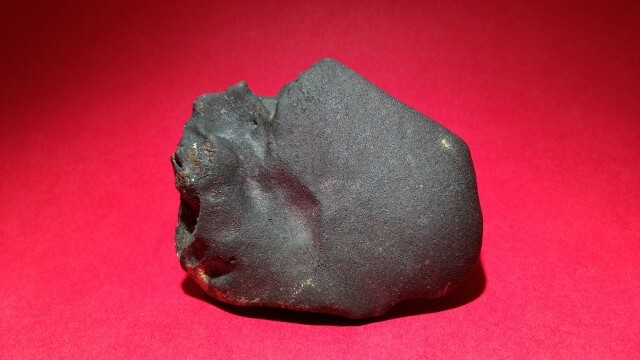 The meteorite's age makes it rare and valuable. It contains dust from ancient stars that exploded -- the same stuff that eventually formed our solar system. 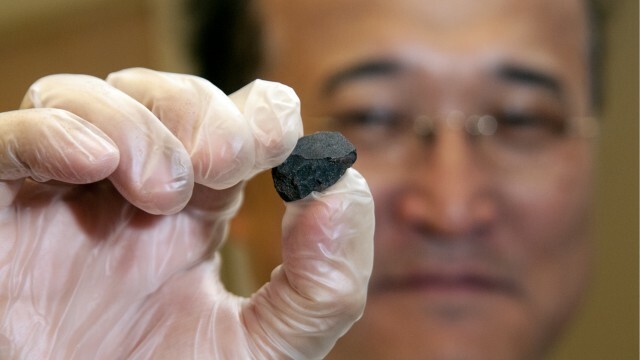 "The reason that we're excited about this meteorite is, [it] witnessed the beginning of the solar system," said Qing-Zhu Yin, a geologist who specializes in meteorites at UC Davis. "If we want to unlock the secret of what happened 4 1/2 billion years ago leading to the formation of the solar system, this was a bystander from that point." When the meteorite landed near Sutter's Mill in April of last year, Yin and his students went to look for pieces of it. However, they didn't find the largest piece until someone emailed Yin after attending a public lecture. "When I saw it, [I thought] this is it," Qin said. This piece of the meteorite is being divided between five scientific institutions. Yin says Davis's piece may be put on display in the future. You can see renderings of the meteorite on YouTube.